Splashes of Hope Annual Dinner Honoree: Fred Mink! Save the date for April 30, 2015 and purchase tickets now for the Splashes of Hope Annual Dinner Dance Fundraiser. FM Brush has been a long time supporter and friend of Splashes of Hope and this year, we are proud to share that our own Fred Mink is going to be the Man of the Year. Splashes of Hope, located in Huntington, New York, is an organization dedicated to creating art to transform spaces, enrich environments and facilitate healing with their custom-designed murals and other artistic projects that bring smiles to the faces of patients, staff and visitors of healthcare facilities including hospitals, veterans facilities, and child care centers worldwide. Splashes of Hope is honoring Fred Mink, President and CEO of FM Brush, as their 2015 Man of the Year. Fred has worked tirelessly with the wonderful artists at Splashes who create these wonderful mural to foster a more conducive healing environment. Details of the event can be found on the Splashes of Hope website. 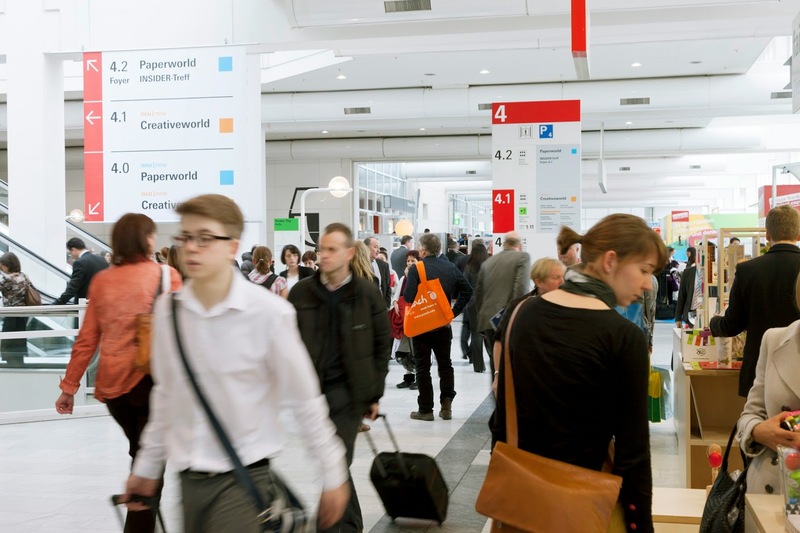 Creativeworld 2015 opens next week on January 31st in Frankfurt, Germany. It is the largest trade show in the world for hobby, craft and artist supplies and features the latest trends and materials. 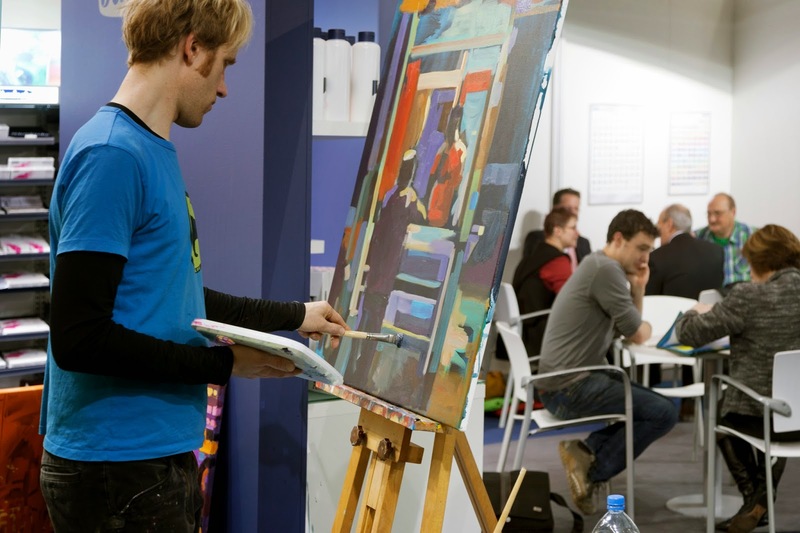 It is THE place to network, market and see everything in the industry. 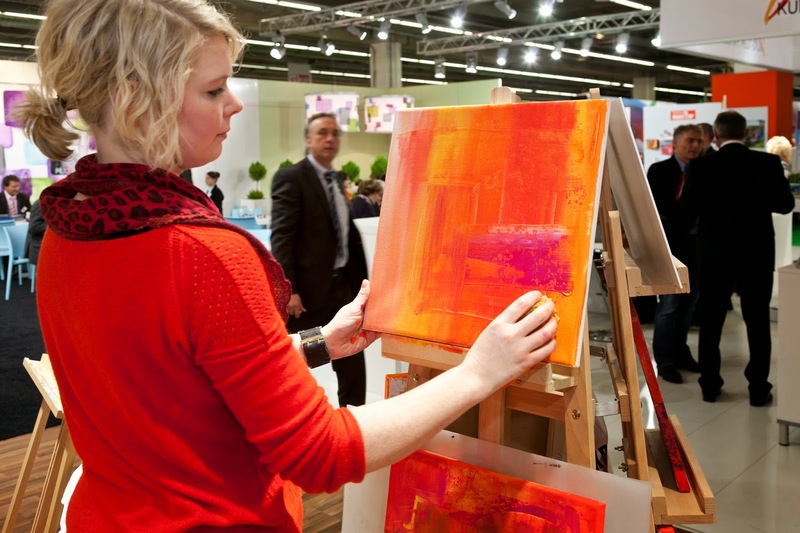 Last year there were 289 exhibitors and 32 countries present at the event. This year, Fred and Greg Mink will be attending the show with an FM Brush booth in Hall 4.1, Stand 31J from January 31st through February 3. Please come by and meet them, and view the brushes first hand. Our booth is in the Creative Trends Hall where you can see all sorts of products to get creativity flowing. And, while at the event you can get tickets to see Paperworld and Christmasworld going on at the same time. For more information about the event, ticket prices, hours, directions and a map of the Hall, please see the Creativeworld website or the event brochure. When it comes to shopping for a good quality art material, research pays off -- to compare brands and know a little about the market. This is true in paint brush sizes and in types of hair used, to purchase the best brush for the money. Not all brushes are built alike, and this is true especially when it comes to brush sizes. Companies size differently, depending on where they are manufactured, types of hair and even shapes. Check out this earlier post on Brush Sizes to get more details: Paint Brush Size. For example, Dynasty has built their Series 187 brush sizing on Winsor Newton's Series 7 Kolinsky Sable series, which is the accepted Kolinsky sizing platform worldwide. We have remained consistent on the sizing over the years, not undersizing to lure the customer with an attractive price. Even though we provide our retailers with measurements on the brushes we sell so they can display and market accurately, it pays to check specifications carefully, especially if you're ordering online. The brush hair length and ferrule size is of utmost importance, but handle sizing and structure as well as crimping are also to be noted. Take a look at the images below and you can see some large discrepancies in sizing. These are both hog bristle, labeled as brights. However, one is sized as a 2 and the other an 8. If you have further questions about sizing, just ask us or head to your local art material store and check out the brush displays. Meininger's has joined our Retailers! Welcome to the FM Brush and Dynasty Family Meininger Art Materials! We have a new retailer in Colorado, with three sweet locations: Denver, Colorado Springs and Boulder. Meininger's is also a family owned business, since its start in 1881. Meininger's has a beautiful website with links to online lesson plans and a video library as well as loads of events, workshops and all sorts of product info and resources. 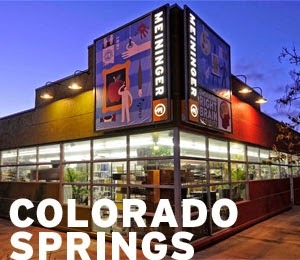 We look forward to many years working with Meiningers and all of our artist friends in Colorado.